During the Pals period November 30, students across divisions distinguished the virtues they value and believe are part of their personal identity. 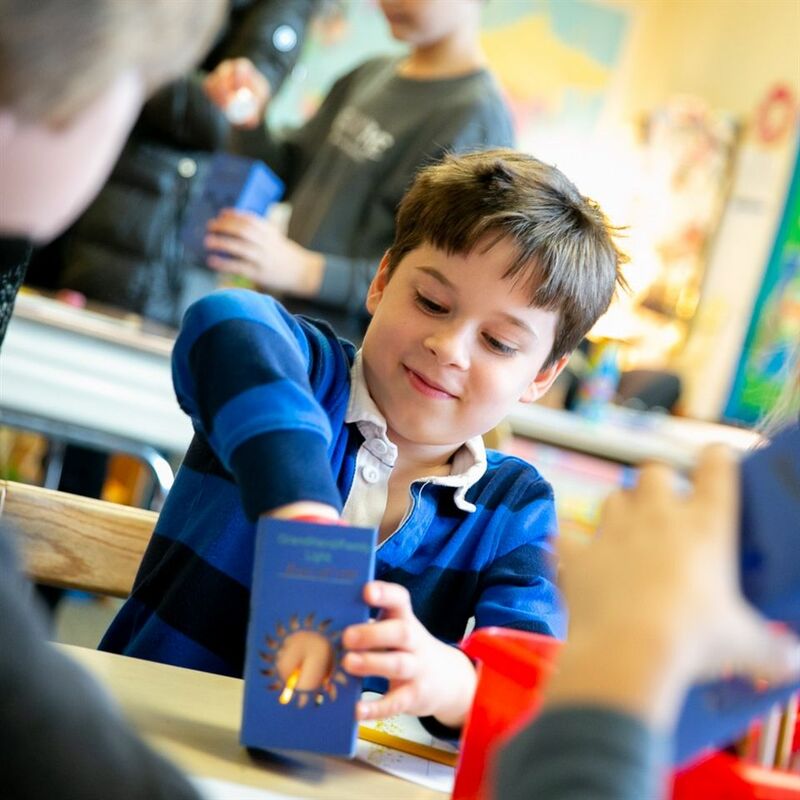 Having interviewed their guests on Grandfriends Day about what their "lights," or values are, students worked together to create lanterns, with each side of the lantern displaying a characteristic that brings light into their grandfriends’ worlds, such as joy, love, honesty, or family. Pairing younger students and older students in a mentorship role, Pal groups filled the remaining sides of the lanterns with the personal “lights” that students bring to the world, such as friendship or laughter.